We've explored Chile previously in these pages, chronicling some of the wines we have from the more well known regions in Chile including the Colchagua and San Antonio Valleys. With summer in full swing, we thought we'd feature a few wines from the cooler climate region of the Itata Valley in Chile. Situated some 500 kilometers south of Chile's capital Santiago, and tucked inland of Concepcion, the Itata Valley is an outlier in the otherwise hot and dry Chilean climate. The knock on Chilean wine, at least in the wine world, was that Chile was synonymous with full-bodied, fruit-driven ripe wines that are popular with the ironically "I f***in hate Merlot" crowd that watched Sideways. Still, the Old World marveled at the consistency of dry Chilean summers, while it distinguished itself from other wine regions in the New World due to its proximity to pristine water sources. Itata dates its viticulture all the way back to 1551, when the first vines of País and Moscatel were planted by Spanish missionaries who arrived with the conquistadors. País, as we've covered previously, is an ancient, high yield, varietal that was first discovered in the Canary Islands, where it is still known as Listan Prieto, before it made its way to Chile as País, Argentina as Criolla Chica, and California where it was named more simply, the Mission grape. For Europeans accustomed to the fuller dimensions of Cabernet Sauvignon, Merlot, and Pinot Noir, País was rebuked as a simple wine. By happenstance, this lack of attention allowed País to become the farmer wine of choice, and left to grow uninhibited for centuries in the more southern regions of Chile. Name changes aside, País found a perfect home in the Itata Valley. Like many wine regions, the Itata gets its name from the intersection of two rivers, in this case the Rio Itata and the Rio Nuble and most vineyards are split between the towns of Chillán, Quillón and Coelemu. 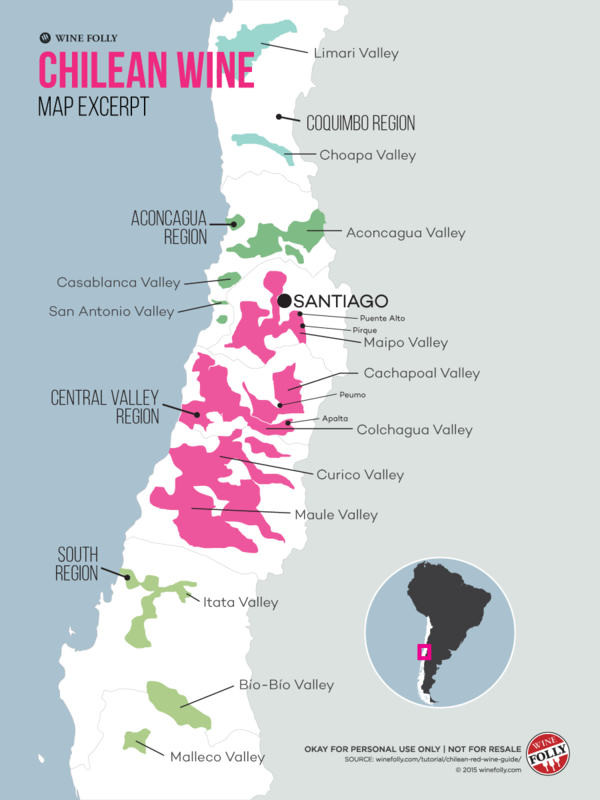 While Chile's Coastal Range acts as a barrier to cooler climate for most wine regions in the north, they don't make it all the way down to the Itata Valley, allowing the influence of the cool Pacific climate and higher rainfall and cloud coverage. This unique area slows the growth of the otherwise prodigious País, and the slow ripening process allows for better acid retention in the grape, a crucial component of any balanced wine. Leonardo Erazo is the winemaker behind the A Los Viñateros Bravos ("To the brave vitners") project, and he's one of the best of Chile's new vanguard of wine producers. He's also behind Rogue Wine, another small winery imprint in Itata. A natural born Chilean, Leonardo has been to Stellenbosch, Burgundy, and California- studying winemaking in each region after graduating the University of Chile with a degree in Agronomy and Enology. While studying to become a Master in Viticulture and Terroir at Stellenbosch University, Leonardo focused on the impact of soil type on wine, visiting both France and Germany in the process. The granite dominated soils of Itata bring an interesting French parallel, Beaujolais. Much like Chile, the crus of Beaujolais have undergone a revolution in regard amongst the wine world. The common thread is the igneous soil type, granite, which has both a high PH and is porous enough to allow for deep root stocks. The other soil found here is basalt, an extrusive soil that is formed from weathered and cooled lava, and like its igneous Granite counterpart, it also drains well. Chile has largely come back into vogue because of the focus on terroir driven wines, and País is a perfect vessel for terroir expression. We also have a white wine made by Erazo for A Los Viñateros Bravos, the Granítico Blanco which is made from a field blend of 60% Moscatel and 40% Semillon. Moscatel is the Spanish name for Muscat, in this case Muscat of Alexandria, a grape whose history traverses the ancient world all the way back to the first winemakers in Egypt. Muscat was often among the first grapes brought to any winemaking region due to its versatility and the various formats that could be made from this grape in both sweet and dry styles. Moscatel goes as far back as País in Chile's wine world, and reflecting its natural state, Erazo doesn't intervene with the grapes, only using natural yeasts and fermentation is done in concrete. Just a little more south east lies the Chilean wine region of Bio-Bio (pronounced beo-beo) where we find our second producer, and third wine. Cacique Maravilla's Pipeño País is sourced from vines that were originally planted in 1766 on a stretch of volcanic soils that date back even further in the Earth's history. This wine is produced in the town of Yumbel. Pipeño is a reference to the once derogatory "jug" or "farmer" wine that the outside world called País, as it wasn't seen as a worthy alternative to the international varietals brought over by European settlers in the late 19th century. Both of the País in this lineup are aged in a combination of cement and raulí, a redwood tree that is native to Chile, as there were no oak trees to be found when viticulture began in Chile. With its unique terroir and ancient vineyards, Chile is fast becoming a wine region to watch beyond just the budget friendly Cabernets. We encourage you to come by the store to see just what País is all about, and see where the new winemakers of Chile are headed.